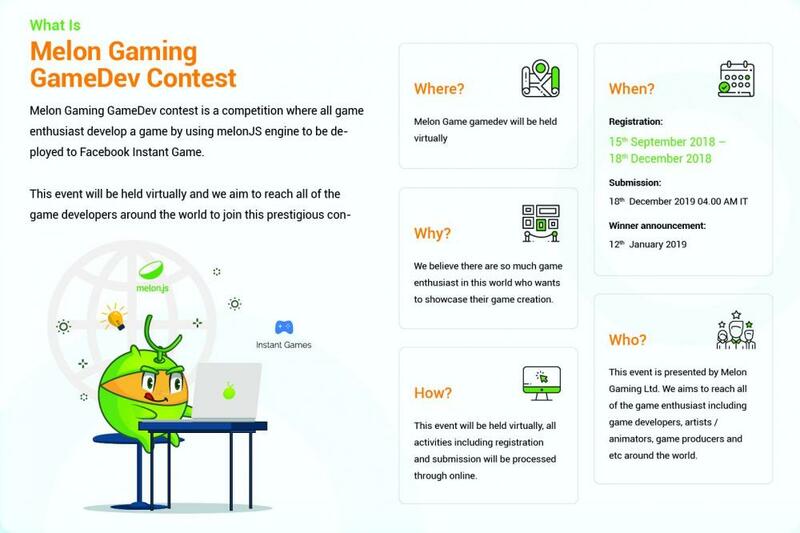 Welcome to the 2018 Indie Game Maker Contest! Your quest if you choose to accept ("but thou must") is to make a GAME using any legal Melon Js in just Three MONTH! Compete for over $10,000 in Cash Prizes! Are you looking for a place to share progress o﻿n your project, recruit talent for your team, offer up your skills, or simply just get motivated? Then make sure to join the official Melon Gaming Maker forums and get involved! We've even setup a subforum exclusively to discuss the 2018 IGMC!